We all hear about the massive amount of unemployment in the United States and other countries everyday. I have had many people tell me they have searched job sites on the net and had no luck. Tonight I used the hashtag #jobs and have watched the stream for about 30 minutes. The diversity of jobs and locations is amazing. From Saudi Arabia to South Korea to the USA I saw an extraordinary amount of jobs passing so fast I could barely keep up. 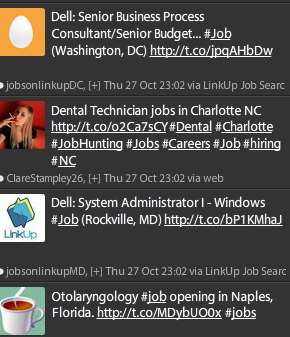 If you are looking for a job or know someone that is you may want to search Twitter with #Job. 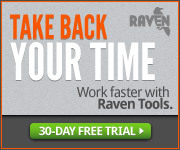 I tried #work and the results were not great, but it may be worth a shot. I know #career is also another term that gives some decent results. If you haven’t used Twitter before just go to Twitter.com and sign up for an account. With an account you can follow some fantastic people and businesses that do nothing but Tweet jobs all day. Once you are a member use the search box at the top and type in “#Job” and also try “Career”.